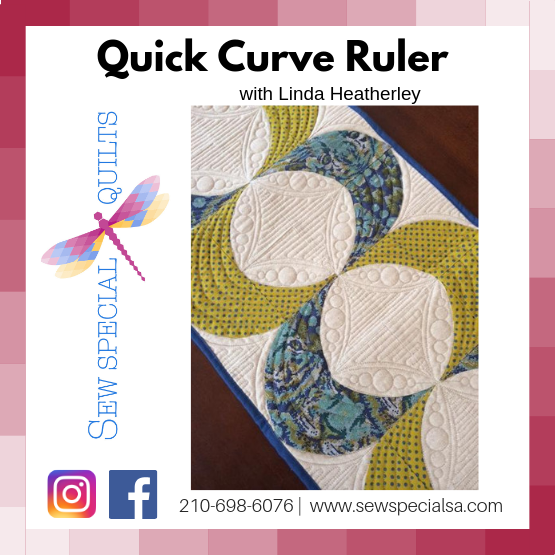 Choose between two sizes - the Regular or the Mini Quick Curve Ruler! Sewing machine in good working order with new needle. BERNINA #34 foot OR a selection of feet to choose from for sewing a 1/4 inch seam allowance. - BRING EXTRA for practice blocks - scraps are fine. You may want to bring lunch or a snack.